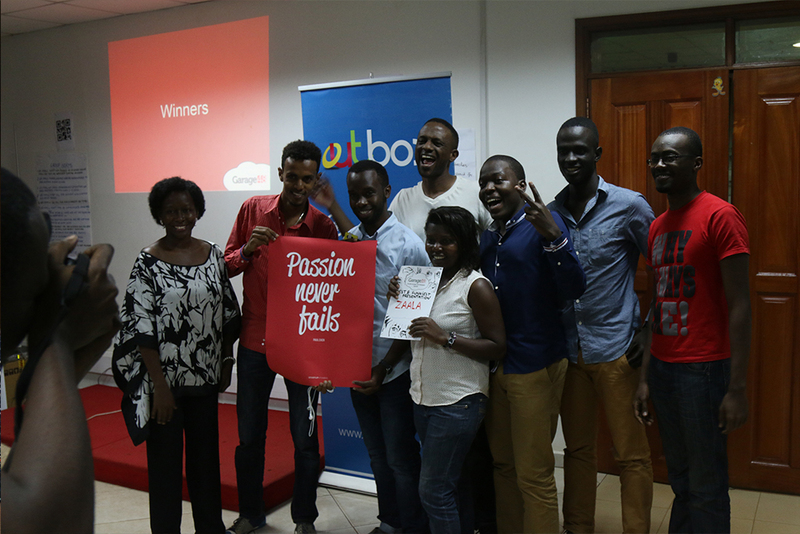 After 48 hours of intense product development by 10 talented teams, Garage48 Kampala 2014, hosted by Outbox Hub ended with over 100 people listening to the final pitches and demos. Out of 21 ideas presented friday, 10 teams attracted the required number of members needed to develop their ideas into prototypes. 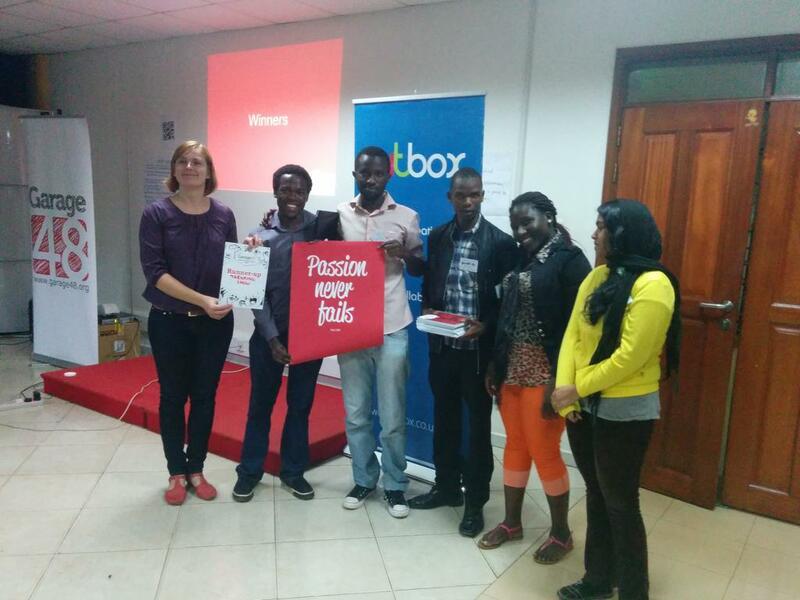 All projects presented were of very high quality, and after a heated discussion the jury selected Livina, a web and mobile platform that digitizes manual registration at workplaces as the Winner of Garage48 Kampala 2014 event. The Jury was honored to have high-profile members from different organizations and companies: Brian Murphy from the US Mission in Uganda, Drake Patrick Mirembe from Uganda Technology and Management University (UTAMU), Deborah Naatujuna from Resilient Africa Network, Jüri Kaljundi from Garage48 and Weekdone, Elise Sass from Garage48 and Microsoft, Veli-Johan Veromann from Weekdone and Richard Zulu from Outbox. A very easy to use mobile application that registers employees at their respective workplaces with just one tap thus eliminating all the time employees spend manually registering in books yet improving company processes at managerial level. Agri Trader is a mobile app great at providing buyer and seller linkage within agricultural market corridors and providing synergy opportunities for traders and service providers with these agricultural markets and corridors. Clinic Map is a Startup Developed at Garage48 Kampala 2014. Our vision is to make it easier to get medical assistance in case of an emergency. 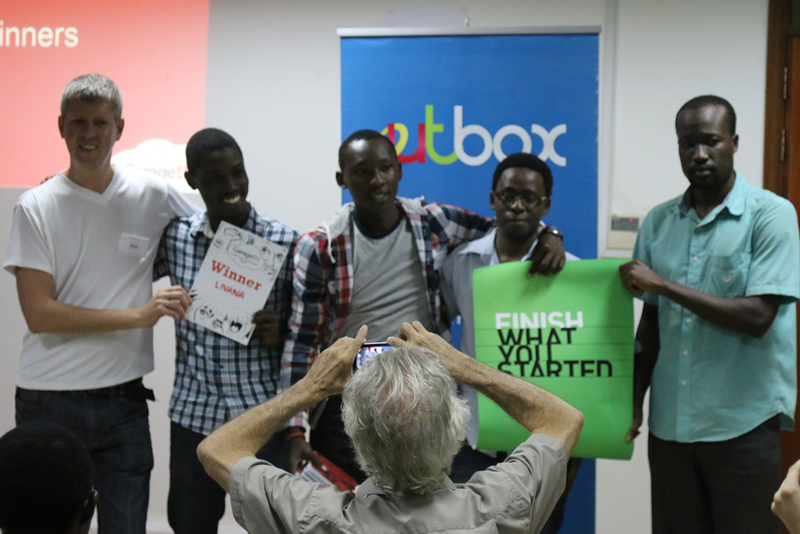 Big thanks to all participating teams, winners, mentors, jury members, sponsors: Embassy of the United States in Kampala, Estonian Ministry of Foreign Affairs and organizers: Garage48 and Outbox.